Each year the St. Mark's School of Texas Alumni Board recognizes alumni who have made notable contributions to the School and our community. 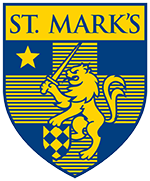 Do you know a St. Mark's alumnus who deserves an award for professional achievement, service to society, or volunteer work on behalf of the School? Please review the criteria and eligibility for the awards and make your nomination. The St. Mark's Alumni Board accepts nominations for the awards from all members of the St. Mark's community. The Alumni Awards Committee reviews the materials submitted on each candidate and selects those persons who are deemed most deserving of recognition. All deliberations are kept confidential. Those individuals chosen to receive awards are honored each year at the Spring Alumni dinner. Read the award descriptions and eligibility requirements. If you would like to nominate someone for these awards, please contact the Alumni Office. Questions? Contact Alex Eshelbrenner '04 at (214) 346-8274 or eshelbrennera@smtexas.org. Please do not inform candidates that they are under consideration since only a limited number of awards are chosen each year from among the many worthy individuals. Please read each of the award descriptions carefully before making your recommendations. A candidate may be nominated for more than one category, and the selection committee reserves the right to grant an award for which the candidate has not been nominated. Nominations are due by February 14, 2019. After receiving all nominations, the Rogers Award Committee will schedule an interview with you on either March 5 or 6, 2019 to discuss your nomination. *In brief, please answer the following question: In what way has the Nominee gone “above and beyond” his/her role at St. Mark’s to make an impact on St. Mark’s students and the St. Mark’s community? The Distinguished Alumnus Award recognizes achievement of exceptional nature in any field, vocational or voluntary, covering an entire career. The award recipient’s engagement with the School should be a consideration. The award is presented to no more than one person each year and need not be awarded on an annual basis. Because the award is defined by its recipients, it has been given sparingly. How has this candidate had a major impact on the profession and/or community in which he has been active? In what ways have the candidate's achievements been truly extraordinary? The St. Mark's Alumni Service Medal recognizes extended, outstanding service to the school. The award will be presented each year to one or more alumni. In what ways has the candidate served the School and its alumni? In what ways has this service been outstanding? How has this service benefited the institution? Has this service been sustained over an extended period of time? Is there breadth and/or depth to the candidates involvement? The Young Alumni Service Citation acknowledges and encourages service to the School by individuals up to their 15th reunion. The citations recognize outstanding achievements in promoting the School through volunteer support of such organizations as the Alumni Association, alumni clubs, career networking programs, class reunions, fundraising, and student recruitment. The Young Alumni Service Citation is awarded to up to three individuals each year. Was the candidate proactive in his efforts to become involved in alumni activities? If not, has the service been strikingly innovating or substantially beneficial? The Ralph B. Rogers Alumni Award is given annually to a teacher or staff member of St. Mark's School of Texas who have made an important and pioneering contribution to the mission of the School and the School community. This contribution may be in any arena including academic, athletic, and extracurricular efforts that enhance St. Mark's relationship with the community. "Contributions," as defined by this award, will specifically exclude contributions made by teachers in the realm of teaching as described by the Murrell Excellence-in-Teaching Award. Contributions are meant to be initiatives taken outside of the confines of the individual's job description that extend the bounds of the learning experience for St. Mark's students either inside or outside of the classroom. The size of the contribution is less important than either its meaning or potential long term impact. The goal of the award is to encourage and reward individuals for devoting personal energy in working beyond the normal boundaries of his or her job description. Any teacher or staff member of any tenure at St. Mark's is eligible. This shall include department chairpersons, holders of Master Teaching Chairs, past winners of the Ralph Rogers Alumni Award and the Murrell Excellence-in-Teaching Award as well as those individuals receiving recognition in any given year for tenure. Candidates must be nominated by a St. Mark's faculty or staff member, a St. Mark's student, or a parent of a current St. Mark's student. Three semifinalists will be selected from the candidates by the Ralph B. Rogers Alumni Award Committee and announced at the St. Mark's Spring Alumni Dinner. Each semifinalist will receive a $2,500 award and the recipients may use the award in any manner chosen to further their professional development. The winner will be determined from the semifinalists and announced at the Upper School final assembly of the school year. The winner will receive an additional $3,500 in recognition of his or her achievement. The Ralph B. Rogers Alumni Award Committee, made up of alumni representatives, will select semifinalists and winner after careful deliberation and consideration of the nominations. The award committee may hold interviews with the nominating person and other individuals related to each nominee. Unsigned or anonymous nominations will not be considered.